The Gretsch Catalina Club Jazz Drum Set is a new spin on an old favorite with a nod towards the classic kits of yesterday! With its small configuration and classic styled features, the Catalina Club is an ideal portable kit or a great first step into a traditional smaller configuration set-up. Warm 6-ply 100% mahogany shells and maple bass drum hoops produce a deep rich tone that takes you back to days long past. Includes 8x12-inch Tom, 14x14-inch Floor Tom, 14x18-inch Bass, 5x14-inch 8-Lug Snare. 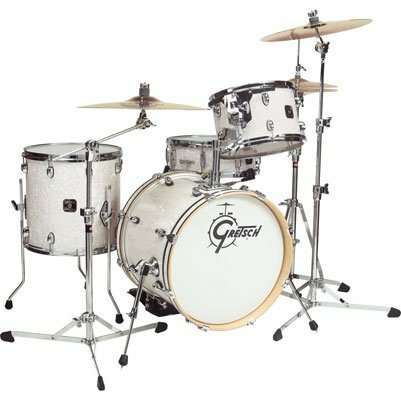 This is an affordable way to get into Gretsch drums - simply add hardware (the Gibraltar 4600 is a great deal), and upgrade to classic Gretsch tone. 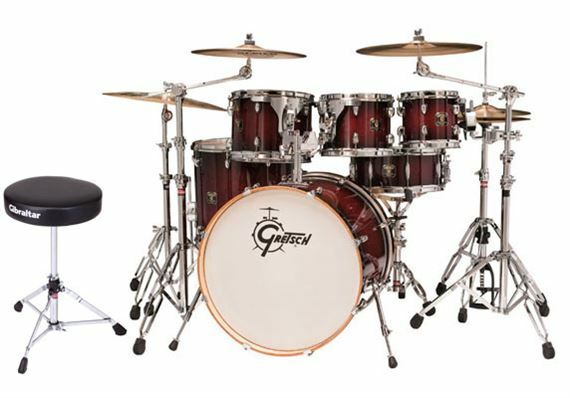 Hardware and Cymbals Sold Seperately The Gretsch Catalina Club Jazz set has been designed for the player in mind who is looking for quality features in jazz 4pc configuration to suit their playing needs. With the warmth of the of the mahogany shells, the 14 x 18-inch bass drum and retro finishes, the Catalina Club Jazz offers the looks and features of a pro kit without the high price you would expect to see in this style of set up. Gretsch Drums - That Sound! Listen. Listen to the distinctive refrain of more than one hundred years. It's That Sound again! It's that Great Gretsch Sound developed by four generations, now more than one hundred years better where better is possible.